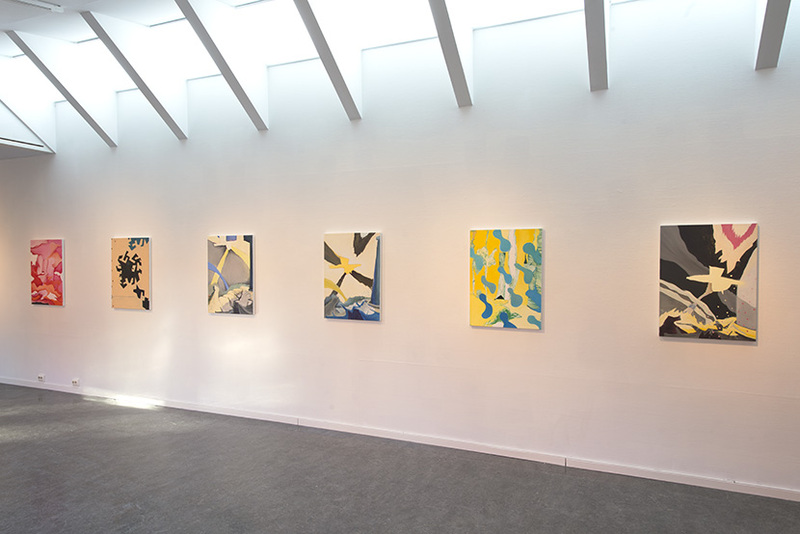 One of fourteen installation views of the exhibition "ÄR HÄR NU" (translates as either "am here now" or "are here now" or "is here now") at Bror Hjorths Hus, Uppsala, February 8 – March 26, 2017. Click on paintings for more information. Introduction text by JS.